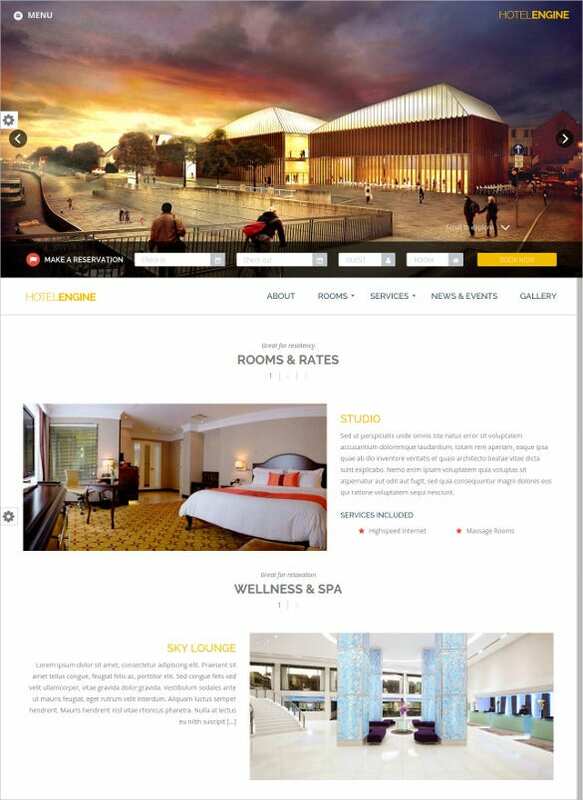 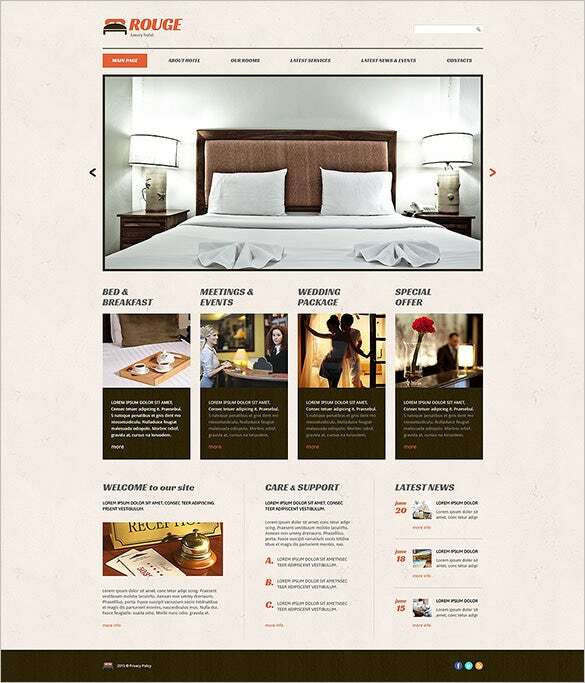 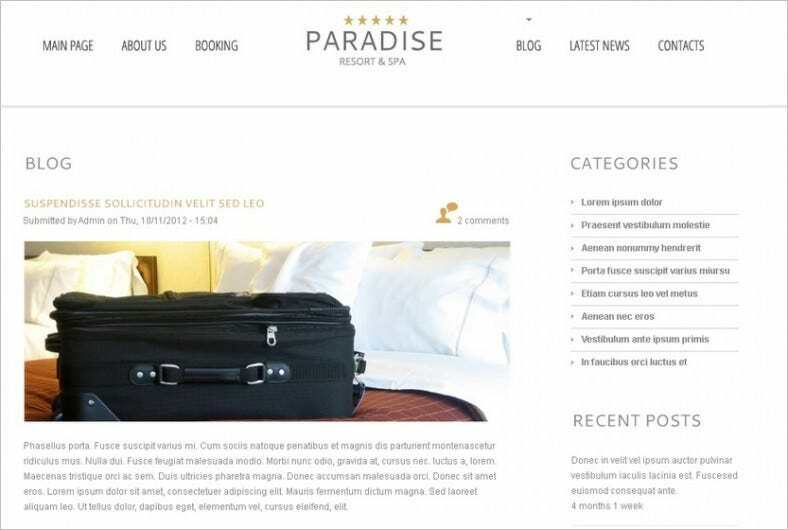 WordPress Hotel Themes aid in the establishment of a hotel as a reputed brand. 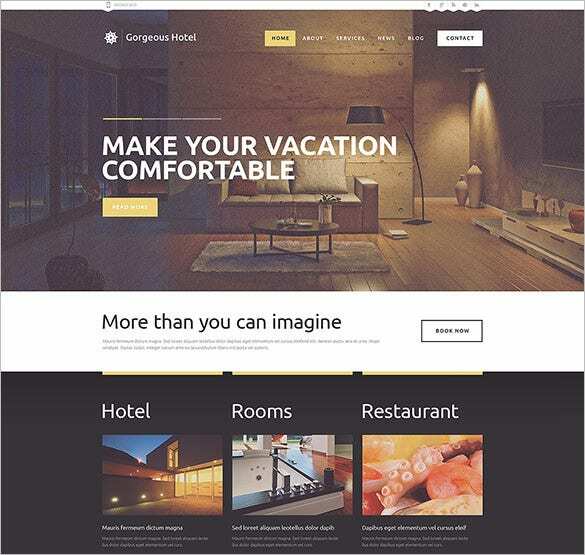 These hotel WordPress themes come loaded with premium WP Plugins for the booking system and Master Slider which is a highly responsive swipe slider. 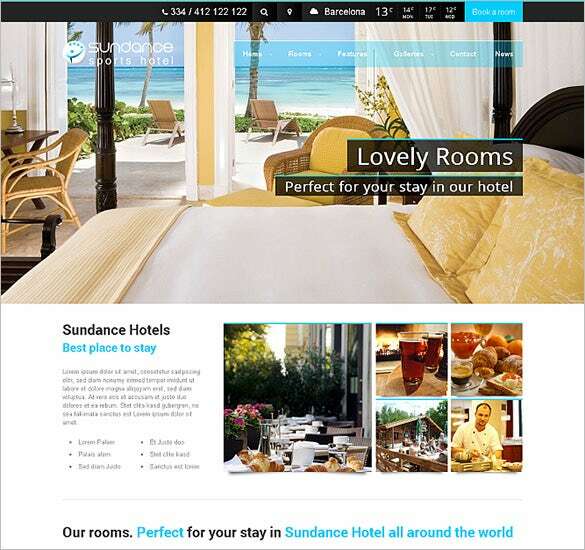 Our sample themes also include a Checkout Support page and over 50 stylized photo files and 5 layered logos. 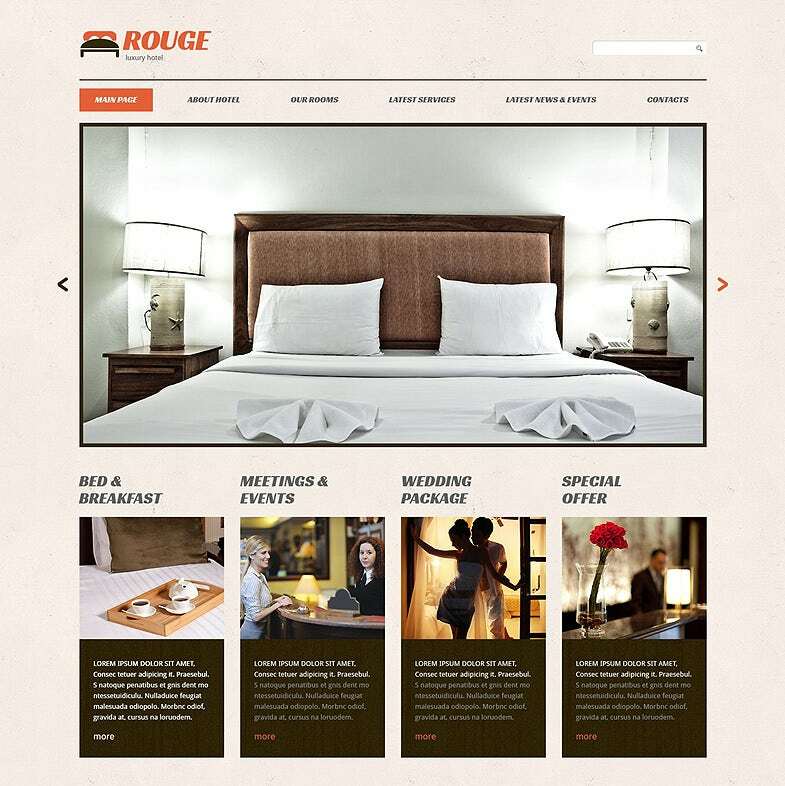 You can also see Hotel Blog Themes. 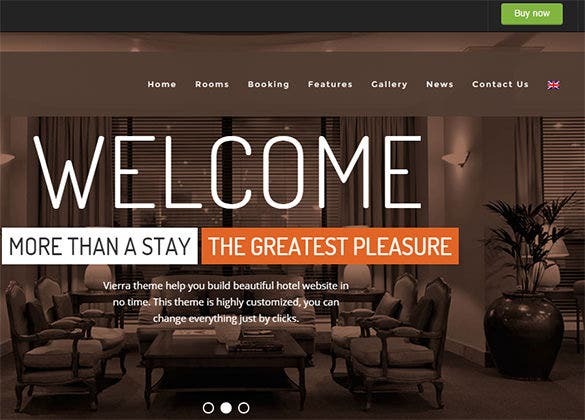 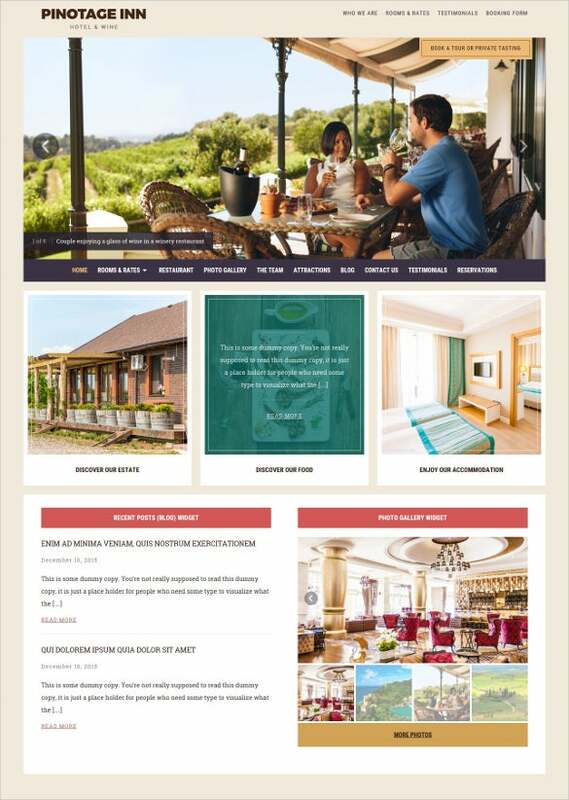 Designed with elegancy, Hotel Responsive theme is a good option to mark your online presences in hotel business, tour agencies and related industries. 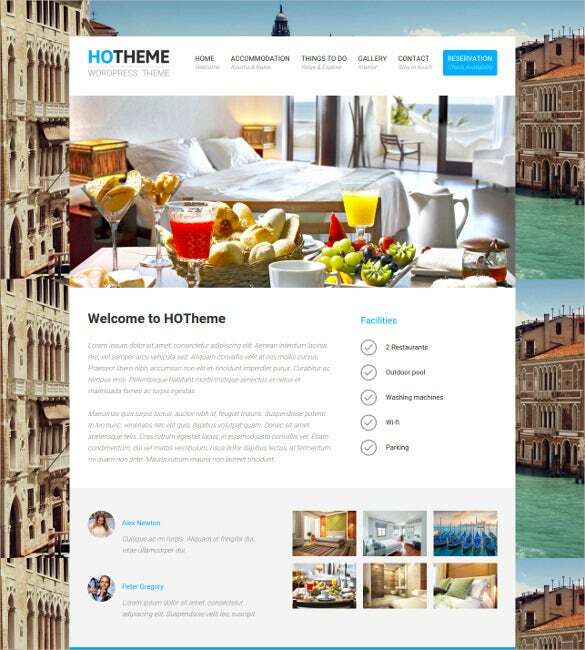 This fully customizable theme comes with more than 80 shortcodes, advanced theme options, calendar, easy navigational tools and is powered by Bootstrap framework in a responsive layout. 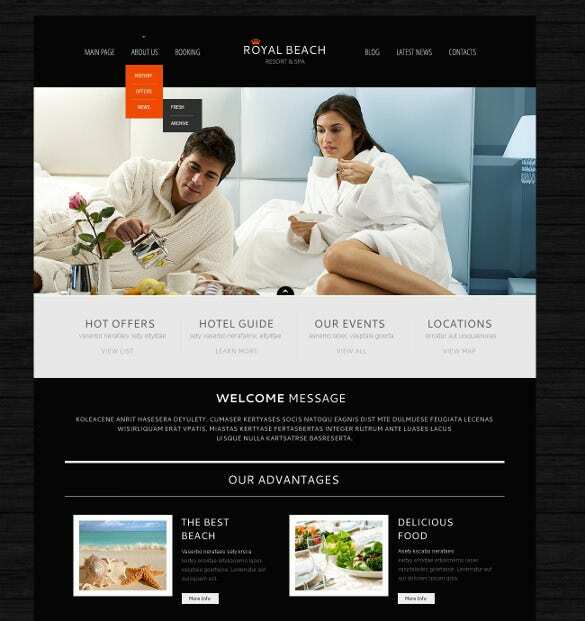 For assuring the online presence of your resorts, hotels and other accommodation services, Sailing is excellent option. 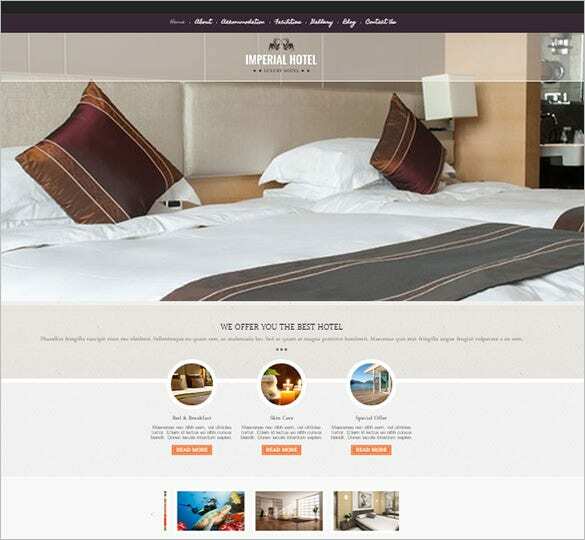 It also supports online reservation option for your customers along with other features like revolution slider, retina image display, page builder, unlimited color choices, and is built on Bootstrap framework. 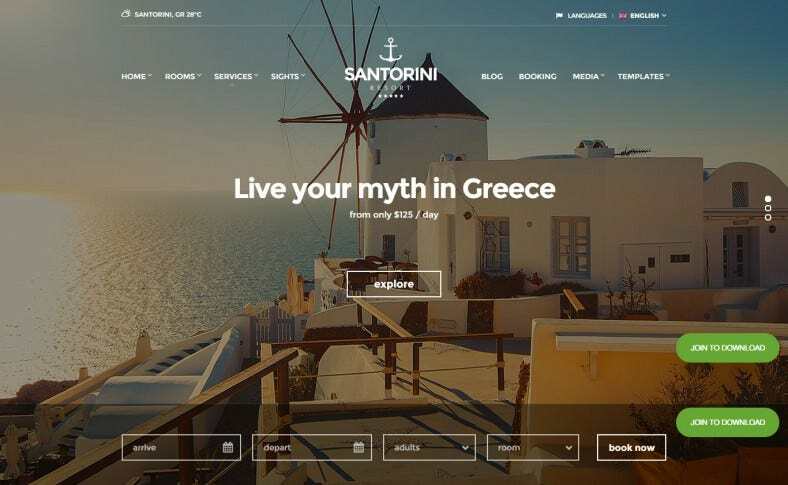 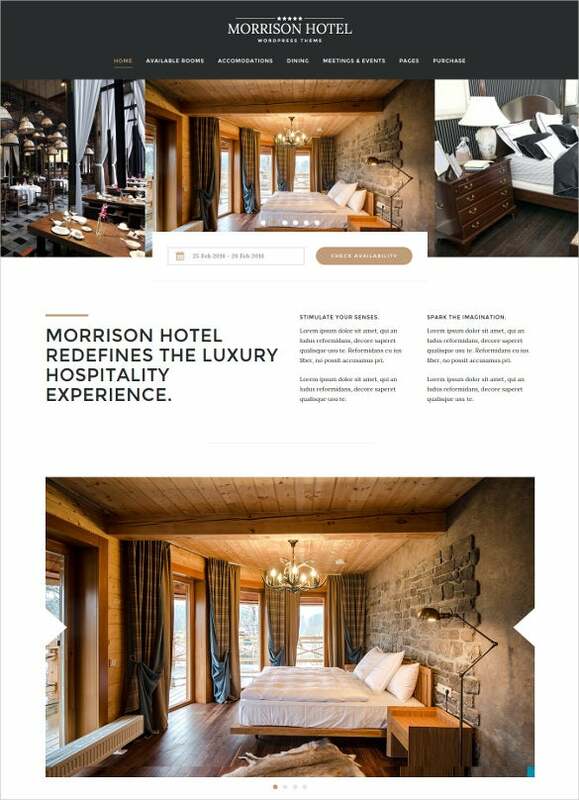 Ideal for travel agencies, resorts, hotels Hotel Responsive theme is a gorgeous theme loaded with many features to command the attention of the viewer. 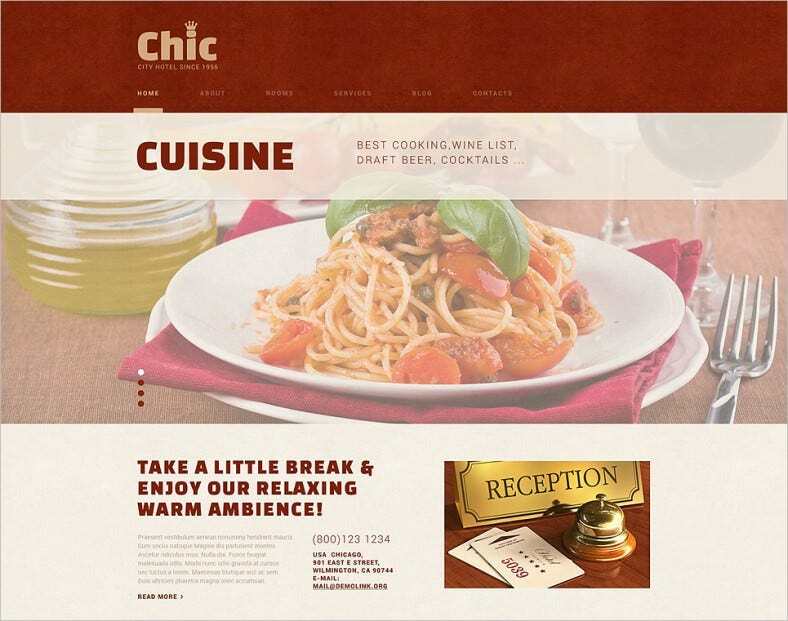 Developed on a Bootstrap framework, the theme incorporates audio player and supports video integration, cross-browser compatibility, Google map and web fonts, social options and is extensively documented. 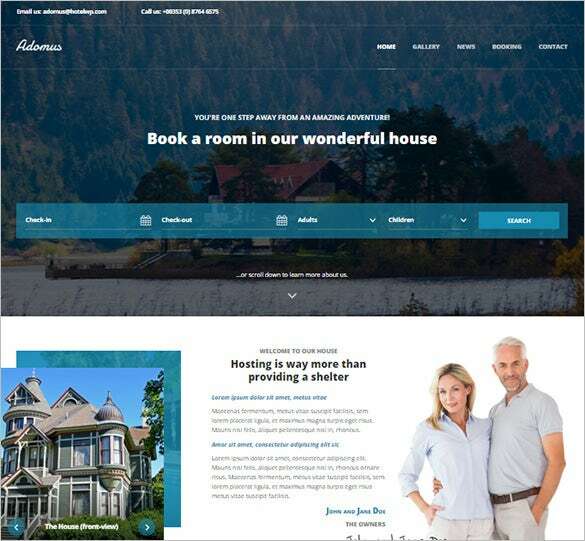 A clean and elegant design, Adomus is crafted for hotel websites, campsites, resorts and vacation rentals with booking management and flexible rates options available. 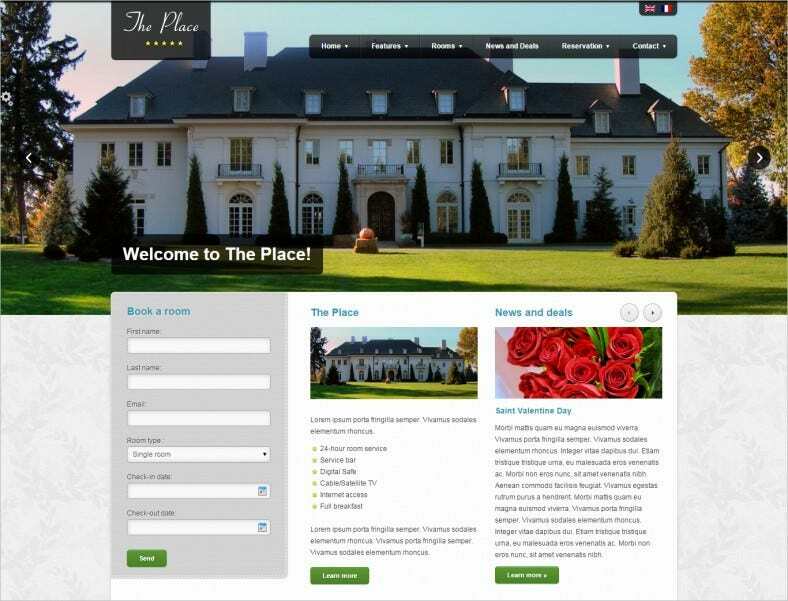 Built on a responsive design, the theme incorporates features like sections manager, live customizer, multi-lingual, event calendars and is well documented. 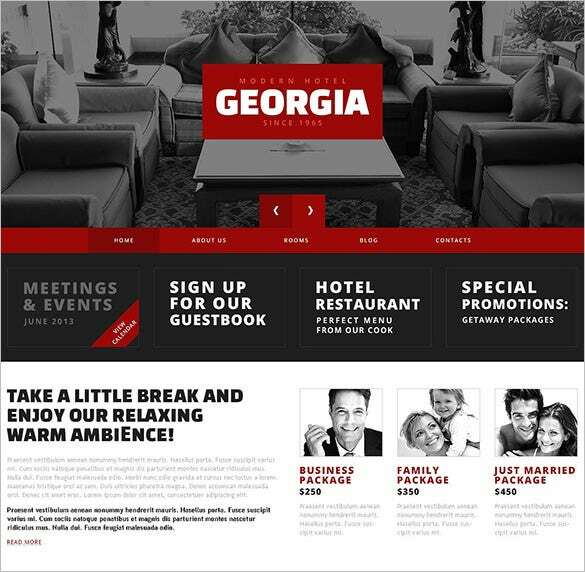 With the blending of gray and bloody red color tones, Red Contrast could take your hotel and accommodation service business to new vistas. 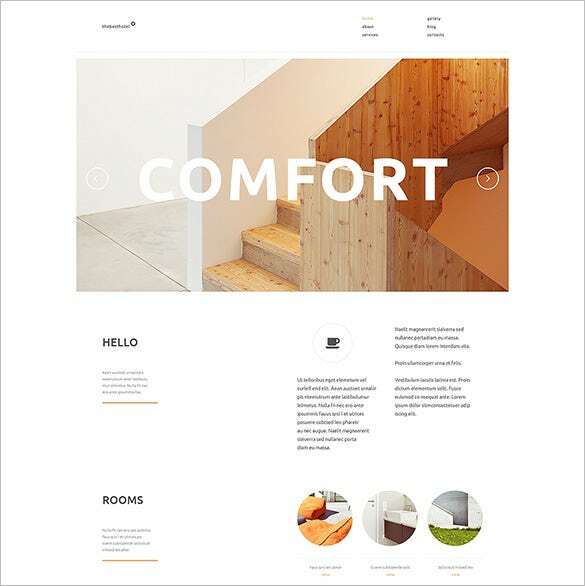 Incorporated with the audio player, the theme is built on a bootstrap framework featuring four image sliders, advanced theme options, custom page templates, admin panel, quick navigational tools and a responsive design. 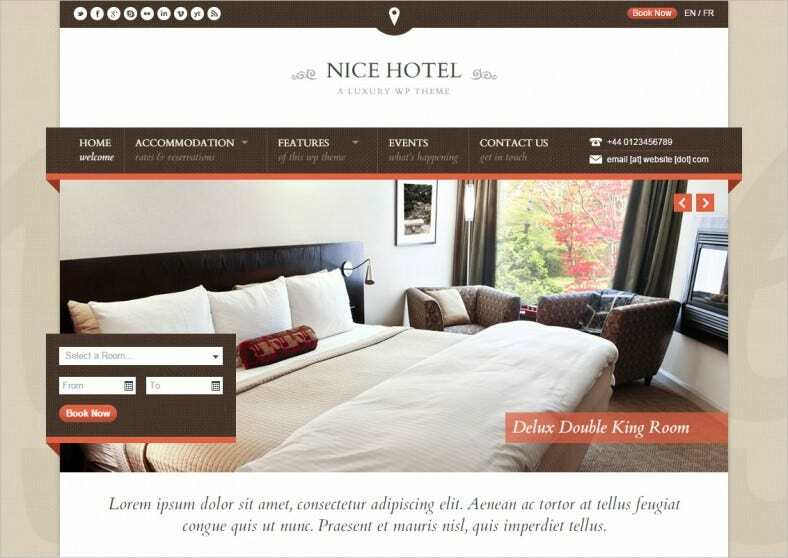 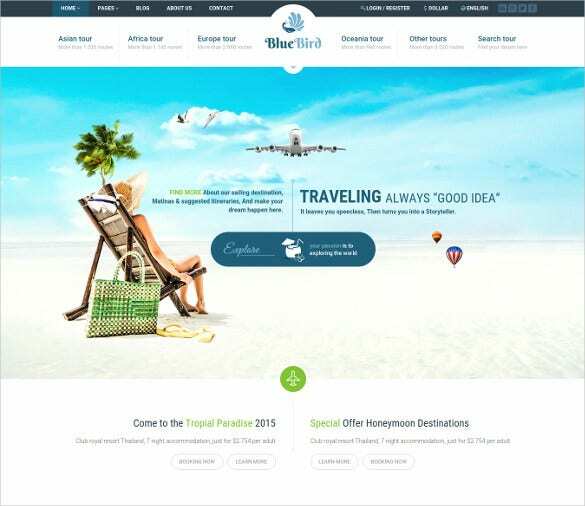 Awesome is a beautiful theme designed with many specifications making it ideal for your hotel, travel agency company websites. 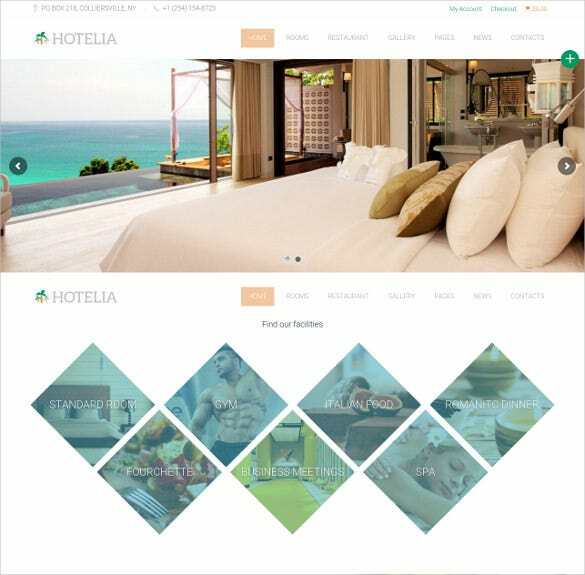 Powered by bootstrap, the hotel theme incorporates 4 image sliders, admin panel, cross-browser compatibility and advanced theme options. 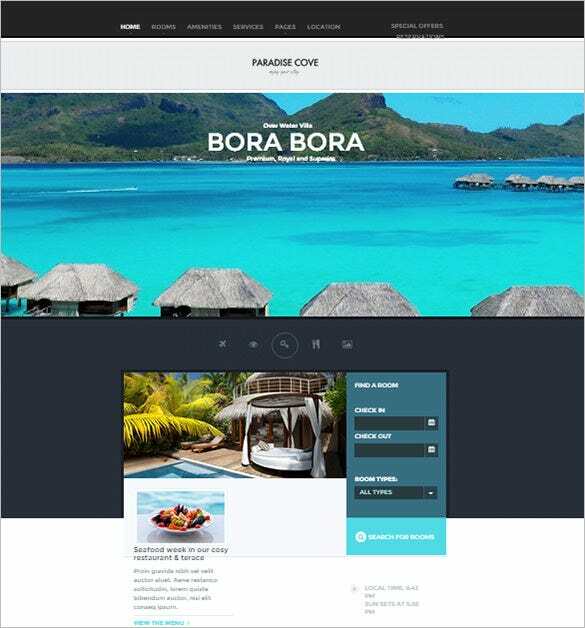 It also has parallax scrolling effect and quick navigational keys for easy browsing. 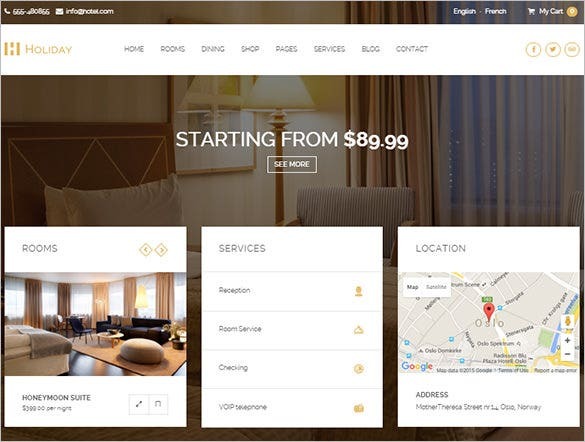 Equipped with admin panel, responsive design and powered by bootstrap framework, Simple Cherry is an excellent theme for hotel, resort and other accommodation service websites. 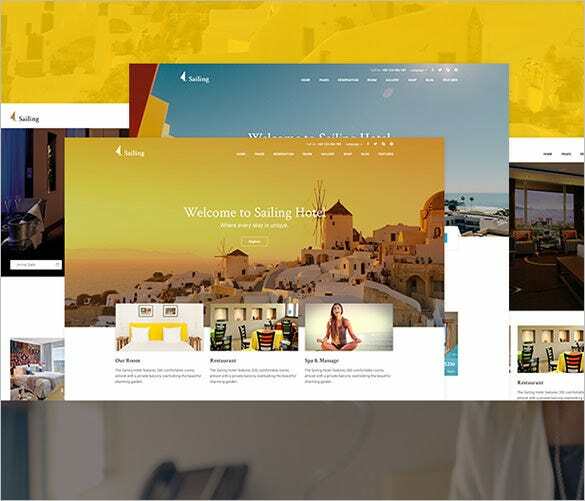 The comes with 4 image sliders with advanced theme options, multi-languages, numerous shortcodes, cross-browser compatibility, Google map and web fonts and many more features. 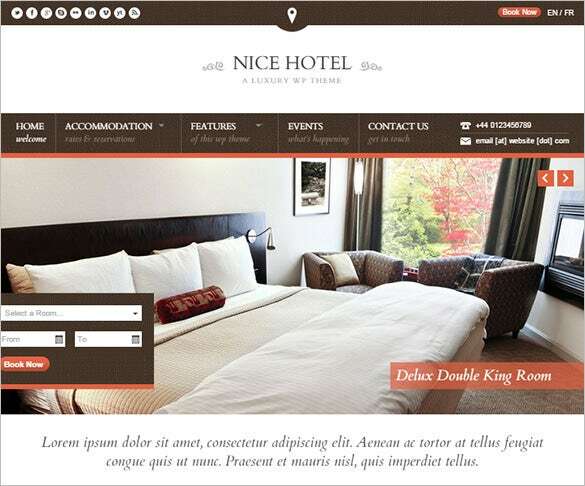 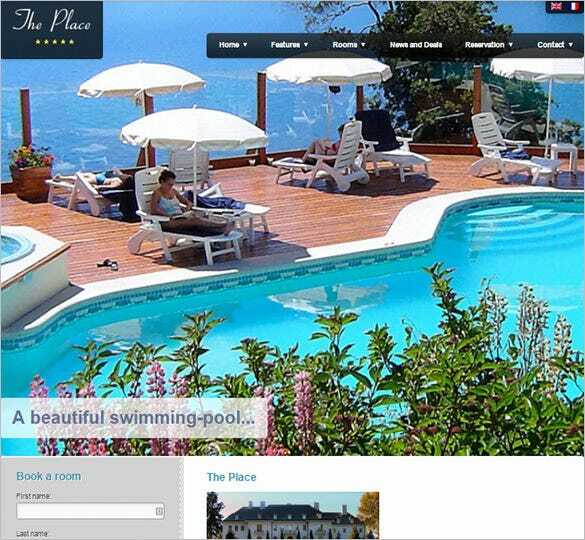 Enabled with a booking wizard, Nice Hotels theme is a fitting choice for hotels, resorts, spas and other services. 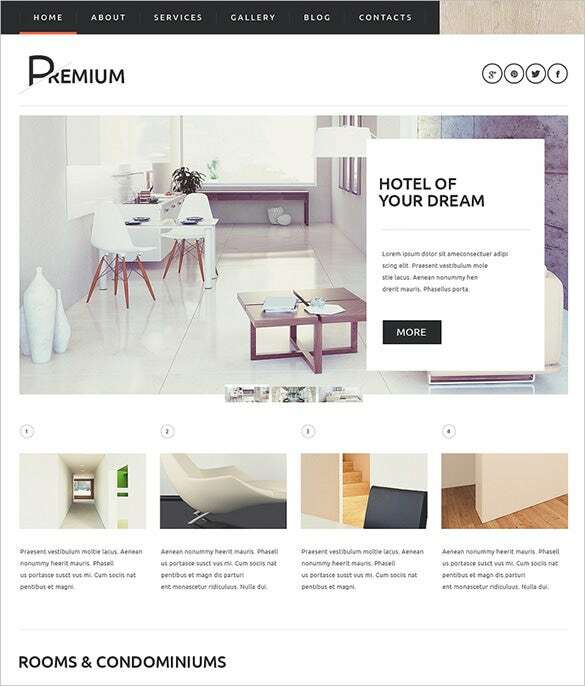 The template also features an accommodation management option, optimized for translation, theme options, and events management, compatible with popular browsers, easy navigational tools and many more. 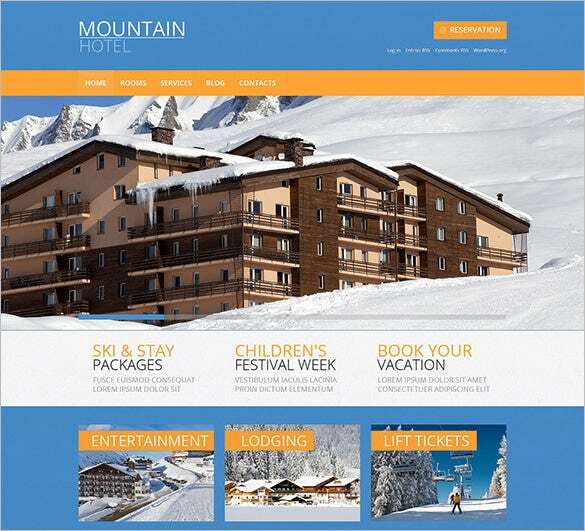 If your hotel, resort and other accommodation services requires a premium website, then Professional is a fitting choice for your business. 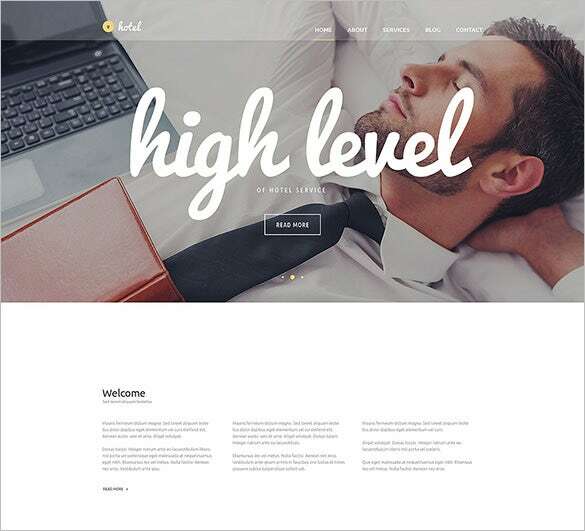 Designed on responsive layout, the theme supports audio-video integration, parallax effect, and lazy load effect and also supports blogging to attract more customers. 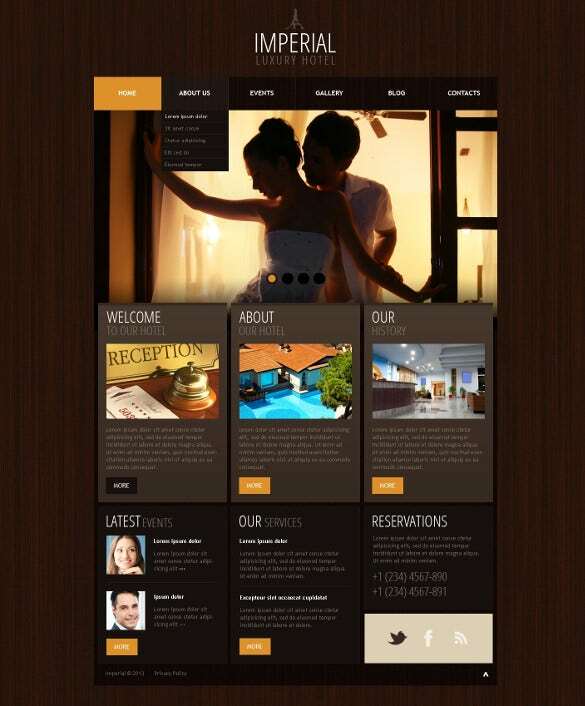 Powered by bootstrap, the theme also has advanced theme options, numerous shortcodes and quick browsing features. 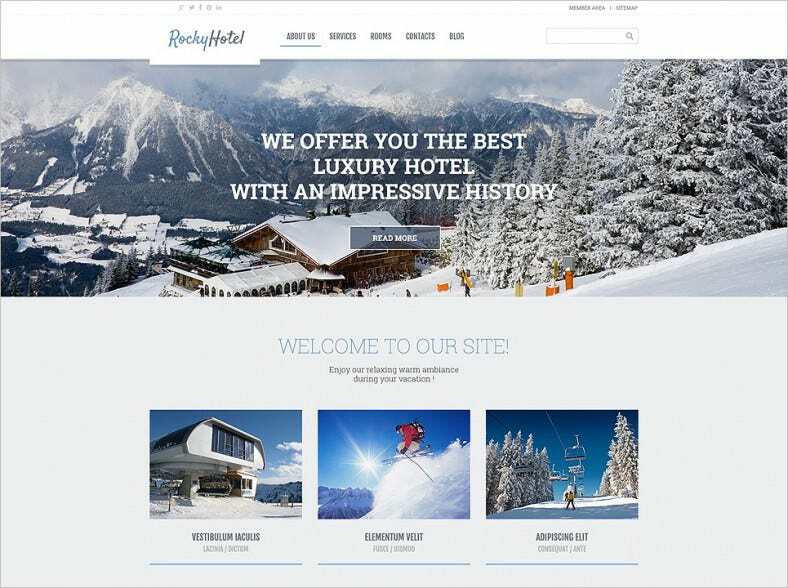 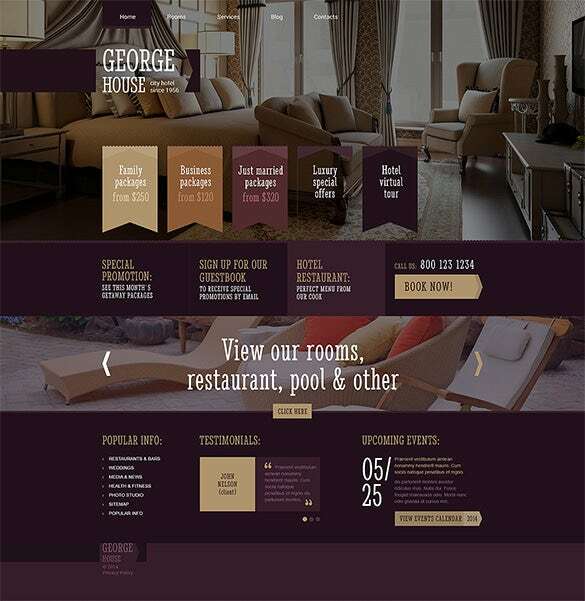 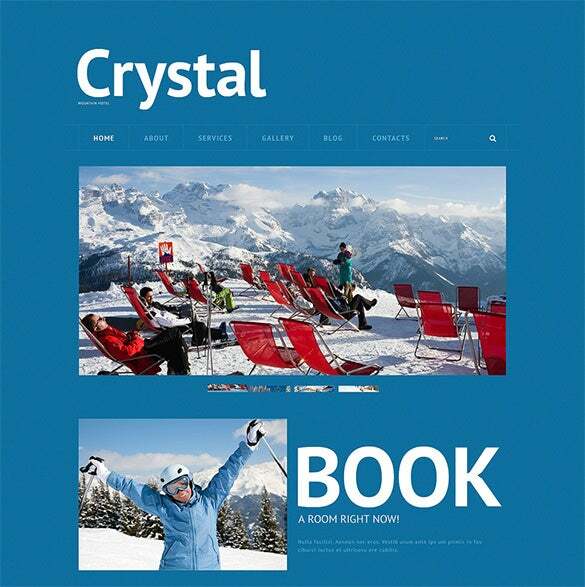 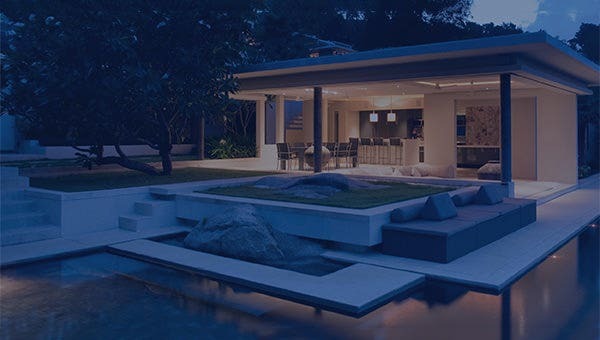 Great is a classic and unique design ideal for hotel and resort websites with many technical advantages. 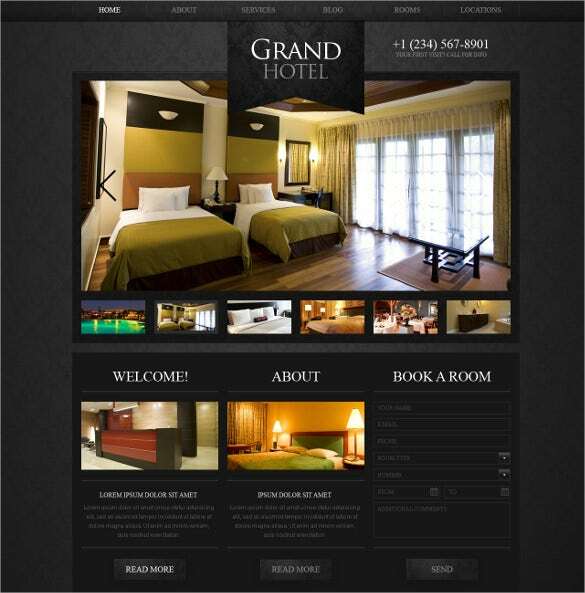 The theme comes with an excellent booking system added with a responsive design. 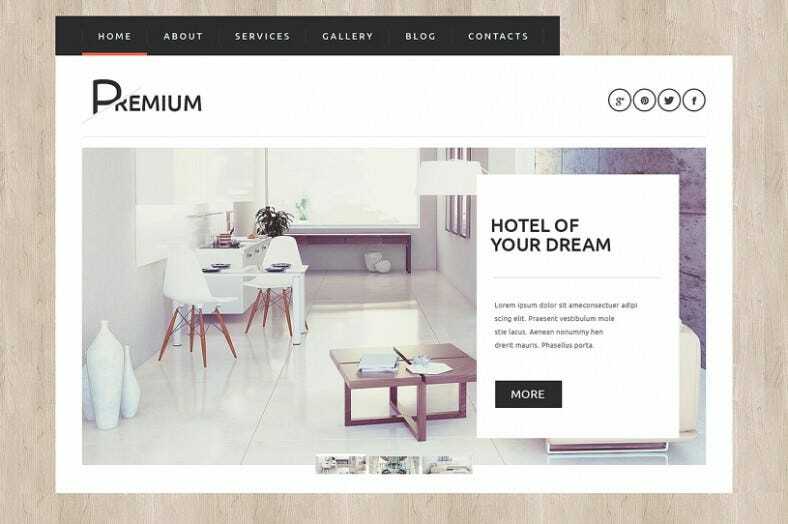 Also, it offers unlimited colors, custom background images and headers, unlimited sidebars, theme options, cross-browser compatibility and is extensively documented. 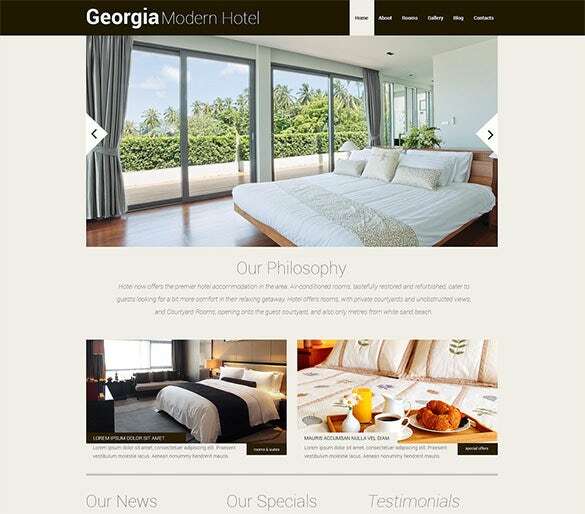 The hotel themes in WordPress are designed in Google Fonts which can be easily downloaded and are completely free. 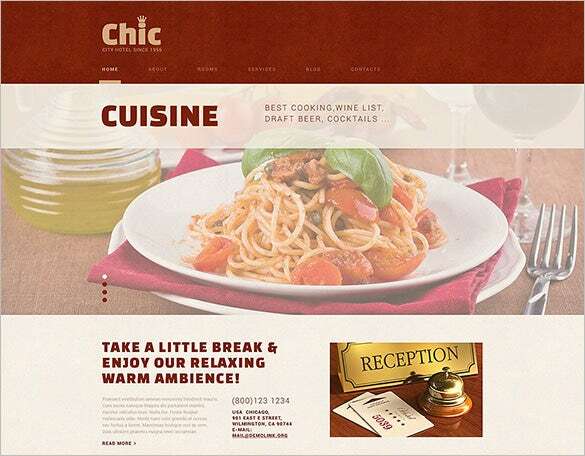 They consist of innumerable shortcodes based on Bootstrap and have in-built CSS Animations. 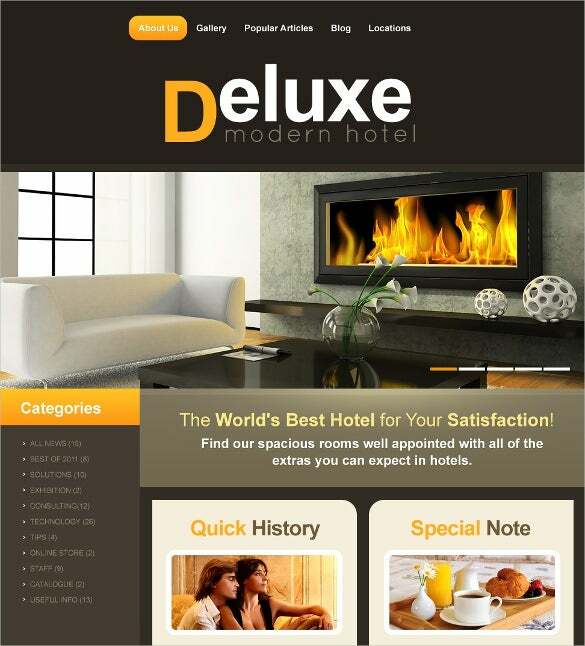 They furthermore function particularly well over mobile devices.